No matter if we are married to Chinese or just live in China with out family, all of us expats here come accross the issue of raising bilingual kids in China. Today I have guest post from Charlotte Edwards Zhang, she is an American teacher and writer, who has lived in China for 11 years and has been married to her Chinese husband for nine. Charlotte loves spending time with her two children (ages 8 and 4) when she’s not stressed over school-related issues. An essay of her pregnancy with her son is featured in a soon-to-be-published anthology Knocked Up Abroad: Baby bumps, twists and turns from around the globe. Read 26 amazing stories from women who have been pregnant or birthed or raised (or possibly all three) their kids outside of their home country when you pre-order your copy on Kickstarter. We didn’t really put much thought into how we’d raise our children to be bilingual. We sort of assumed it would happen rather naturally. Yes, you could say we didn’t really know what we were doing with kid #1. Since I was nowhere near feeling confident about speaking Chinese, as I’d made little progress in my three years of self-study, I spoke English only to my firstborn. My husband is a whiz at studying and despite skipping out of all of his college English classes, he speaks fluently and uses big, fancy words that I’ve only read in books (thanks, TOEFL prep books). I felt that it would be best if he only spoke Chinese to our son, but since English was our language of communication, it was natural for Zhang to want to speak English to the baby, too. So when it was just three of us together, English was used. With the two of them, or when yeye, nainai and any other Chinese family were present, it was Chinese. 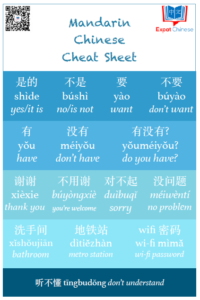 Mandarin or Hubei dialect. Now nearly eight years, and another child, later, there are some things that I feel we did really well and others that we could have done much better. I spent a lot of time reading to Nathaniel. During my zuo yue zi, I secretly read to him while his grandma was busying herself preparing our meals. I believe we went through a book of Bible stories twice in that 30-day period. I also listened to various English-language podcasts while I cleaned, and he overheard the Chinese news after dinner. He got daily lessons in Hubei dialect from his grandparents. He was just a month old when I had to go back to work, so we were lucky that his grandparents could watch him and influence his language, even if they don’t speak Mandarin. While we don’t go out of our way to encourage him to learn this dialect, he’s picked up the habit of saying a few words in it but can understand his grandparents perfectly. Everything felt right, and months went by. As he grew and became more responsive, we could tell he understood us and would respond appropriately no matter what language was spoken to him. I felt we were on the right track with this dual-language thing. Finally, around ten months he said “baba” which was soon followed by “yeye,” “mama,” and “nainai.” But all in Chinese. He continued to add Chinese words to his vocabulary, albeit more slowly than his peers. At two years old, his oral vocabulary–in both languages combined–was less than 100 words. But suddenly there was a huge leap in his progress and communication became much easier. Of course there was the mixing of languages. Even though my husband and I never mix the two in a sentence, or even a conversation, Nathaniel would come to us with requests like, “Mommy, wo xiang eat ping guo.” I’d simply correct his speech by saying, “oh, you want to eat an apple?” and then give my reply. This was just to make him familiar with the correct way, but without telling him that I was correcting him. It was effective, though slow; for example, two-year period in which he’d say “me” instead of “wo”, even when speaking Chinese. Every once in awhile, I would jump into teacher mode and give him a mini-lesson in hopes that he’d magically get it. My husband is a voracious reader, but he’s not much into reading books to the kids. When he does it, he’s great. He makes voices and reads with emotion; I do not. To be honest, I don’t like reading aloud either. But I loved being the listener as a kid and in my teaching courses my professors were constantly stressing the benefits of reading aloud. So I did it anyway; kind of like how I eat mushrooms. I know they’re good for me, so I do it. But I never insisted that my husband read to the kids in Chinese. But now that my son is in school, we can see that his Chinese lags behind his monolingual peers in some regards. He didn’t know many of the common measure words when he entered first grade, and we didn’t realize that he was lacking that knowledge. Reading good quality children’s books and literature is very important, no matter what the language is. I believe he missed out on quite a bit since he wasn’t being read to in Chinese. We’ve since become more intentional about reading aloud to the kids and now Nathaniel is able to read his Chinese books to his little sister. My having a limited Chinese vocabulary has its benefits: it’s only been recently that I started speaking to him in Chinese, and surprisingly he hates this. With him, I wish I’d spoken to him even more than I did since his sister had the benefit of three people speaking to her. Nathaniel was at a disadvantage since his parents are naturally quiet people who like to spend their evenings silently reading. Nor do we have any sort of social network that we hang out with and in which he’d get linguistic input from other adults. I’m not a fan of most television programs, preferring the benefits of reading over mindlessly watching actors, but with my daughter I’ve been more lenient about watching television than I was with my son. I think finding quality shows is essential, but allowing him to listen to the television (or an app with audio programing, as we frequently do these days) would have given him additional language input. Don’t get me wrong: my kids can speak both languages quite well. Their Chinese, overall, is better than their English, but that’s what happens when they only go to the USA every three years and the only English speakers around are Mom and Dad. I’m all about giving myself grace when it comes to this still new-to-me world of parenting so I don’t mentally beat myself up about them, but I hope all the parents and parents-to-be find my experiences and insights useful. Our son Nathan (yes just Nathan ;) ) is now 2 1/2 years old. Until he was roughly 2 years old he barely said anything beyond Mama. The reason for this was most likely as he was confronted with so many different languages by us such as Chinese, German, Finnish and English. Now half year later he can speak simple Chinese sentences and some also in German (we live in Germany). He can count in each language till 10 (some till 20) and knows some of the words in all languages such as apple or surprise egg for example. My now almost 11 years old son is being raised in a trilingual setting, whereby my ex wife and I always stuck with the OPOL (One Parent One Language) method. Living in The Netherlands my son’s native tongue is, obviously, Dutch. His English (taught by myself) is better than his peers though heavily laced with a Dutch accent. As for his Cantonese, I can’t judge, since that’s my ex-wife’s part of the deal. These days he can fully understand the three languages, but he is quite lazy (or shy) to speak, unless forced to. That said I am fairly sure the multilingual upbringing will benefit him sooner or later in life.